The Swimming Bird: PUCK WHOMEVER YOU WANT BUT GO EASY ON THE ICING! PUCK WHOMEVER YOU WANT BUT GO EASY ON THE ICING! plums), you (the searcher) can find it all-- a magical smorgasbord of vintage treasures of which you cannot imagine. Sometimes you find it and sometimes you don’t, but you power through the nonsense to reach the dynamic world of video game antiquing: a winding path of forgotten mystery and classicism from 20th century electronics! Mario Bros, Nintendo Soccer, Pro Wrestling, Zelda, Double Dragon, and Doki Doki Panic (Original FDS game that later became Mario Bros 2, or in Japan; Mario Bros. USA). western NES, and then again on Nintendo Wii. Each player has the ability to customize their team, with a choice of a fat guy, a skinny guy and a normal guy. Traditional video game physics apply: Fat guy is powerful and slow, the skinny guy is fast and weak, and the normal guy’s abilities lie somewhere in between. addictive and is the gospel truth, forever and ever. 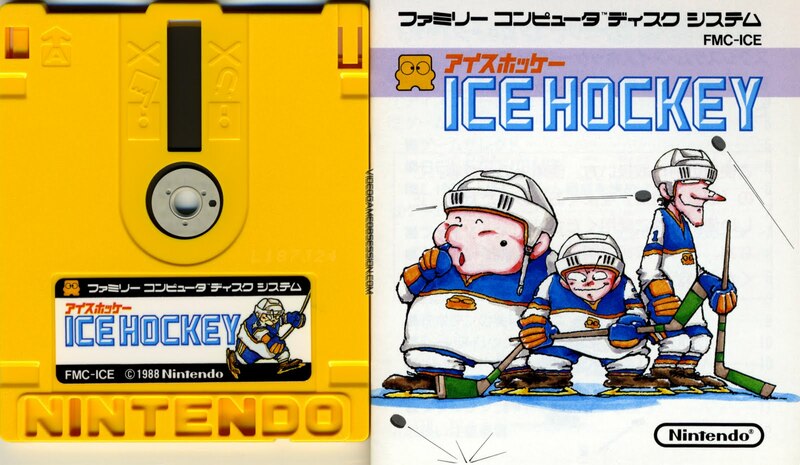 In truth, ICE HOCKEY is easily one of the top VS multi-player games for the Nintendo Entertainment System. PUNCH-OUT, that remains so damn playable after 23 years. The music will boil your blood hot as your glide through the cool, digital ice. Normal, who then fakes and shoots it to the much feared heavy-hitter. His stick raises, holding it there for an artificial eternity... SMACK! forces of opposition and into the pixel-ed net! Sweetness! Glory! Kris uses team Japan on the Famicom Disk System and the U.S.A on the NES. His favorite mix is the default of two normals, a skinny and a fat guy.